Warming up your choir has never been this much fun! These 18 educational exercises are written in a variety of styles based on American popular music, including Swing, Rock, Jazz and Cajun. They can be sung a cappella, with added vocal or instrumental percussion, or with rhythm section accompaniment. Use these warm-ups to improve intonation, balance and blend, enunciation and vowel unification and to extend vocal ranges. The exercises can also help stimulate creativity by encouraging melodic and rhythmic improvisations, using body movement and incorporating original lyrics. With a healthy dose of affirmative lyrics and lots of room for individual and group creativity, you can't miss! This is what you've been waiting for! Introduce your young singers to the basics of vocal jazz with nine original songs illustrating a specific jazz concept. With educator notes included, this is an excellent introduction to an original American art form. 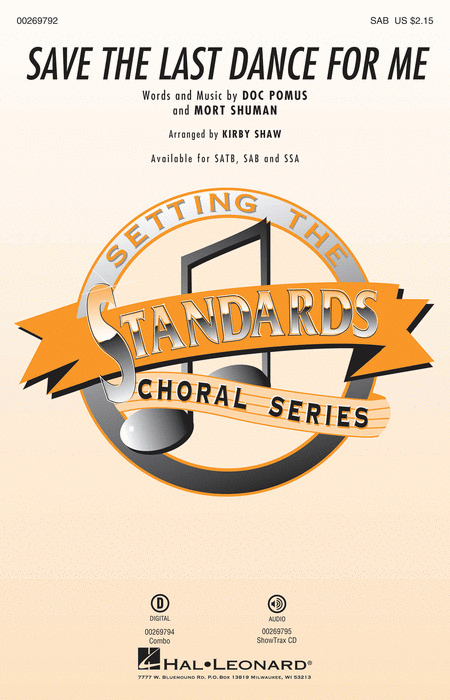 Kirby Shaw helps kids learn more about vocal jazz in this easy-to-sing and educational collection. Each original song focuses on a different aspect of jazz singing. Billy Joel's pop hit from 1983 "The Longest Time" is a perennial favorite and evokes an even earlier time in America's pop history. From 1973, the pop hit "Shambala" by Three Dog Night is a buoyant song full of tasty harmonies and a warm gospel groove that will infuse your concert with the hopefulness and joy. This "vocals only" edition will be especially effective for choirs of all types! The intimacy and directness of a cappella singing create a special emotional atmosphere in this tender setting of the Grammy award-winning pop hit "Tears In Heaven" by Eric Clapton. You will create a magical concert moment with the gentle guitar-style accompaniment recreated by the vocals and the heartfelt lyrics. The #1 hit from 1967 "Groovin'" by the Young Rascals in a smooth vocals-only setting perfectly captures the relaxed slow groove of the song with an easy vocal accompaniment and a irresistible solo. 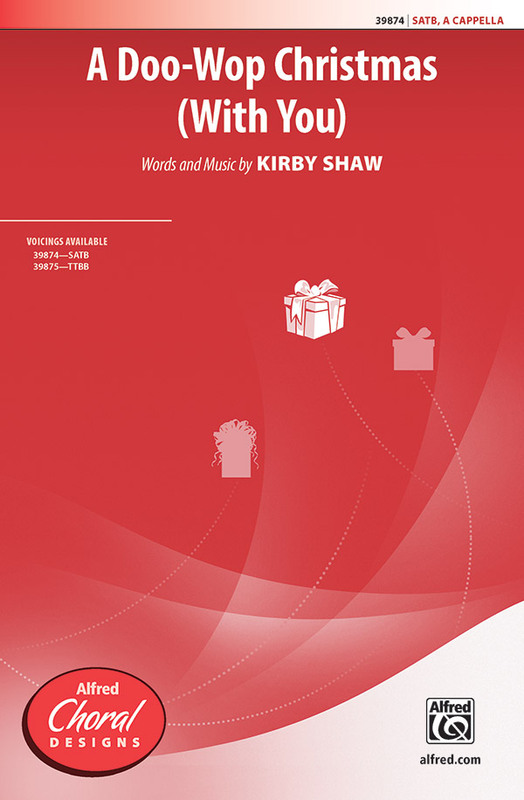 The treatment of the classic spiritual 'Wade In The Water" by Kirby Shaw includes the elements that always seem to "work": a soulful solo, supportive choral parts that have their own interest, and new verses that are seamless in the story. Designed to showcase that special soloist in your choir, "Down By The Riverside" gets an upbeat a cappella treatment that allows for an optional audience sing-/snap-along. John Newton's famous and beloved hymn "Amazing Grace" is perhaps one of the most well-known song in the world. This traditional setting will surely have a profound effect on your singers and audiences. Hold on to your choir robes! The invigorating a cappella adaptation of "Sinner Man", one of the great traditional spirituals, will bring your audience to their feet! 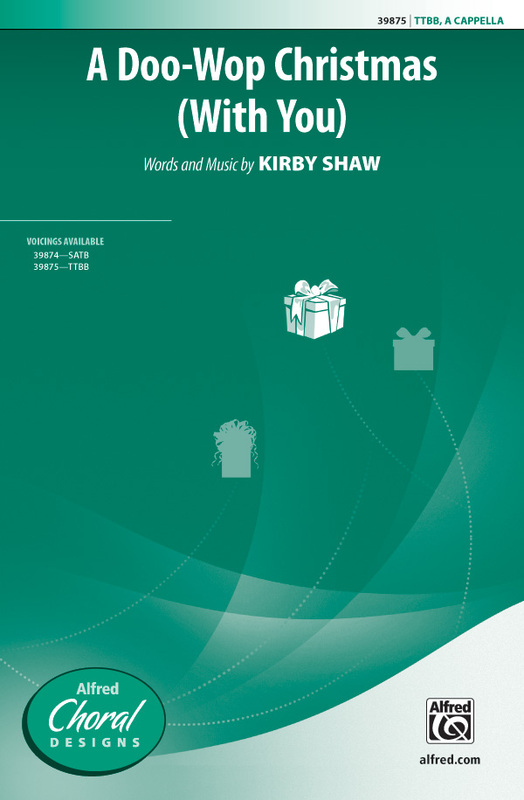 Traditional carols arranged by the highly-regarded Kirby Shaw as for a Renaissance choral performance. Fun and assessable for all choirs. Displaying 1-50 of 1047 items. Here is a jazzy take on a classic pop/rock tune. The original version, sung by the Drifters, with all of its back up harmony and part singing, is a great beginning for a choral arrangement. In the hands of this skilled arranger it is a real concert piece. The ground breaking vocal jazz ensemble Lambert, Hendricks & Ross laid the groundwork for all the vocal jazz groups that have followed. Often using their voices like instruments and inventing Vocalese, they are examples of what can be accomplished with the voice. This arrangement swings hard and updates the harmonies making it a great bridge between what was and what is. Nat King Cole received 28 Gold record awards during his amazing career as a singer, band leader, movie star and TV host. Among his hits are Ramblin' Rose, Too Young, Mona Lisa and of course, Unforgettable. 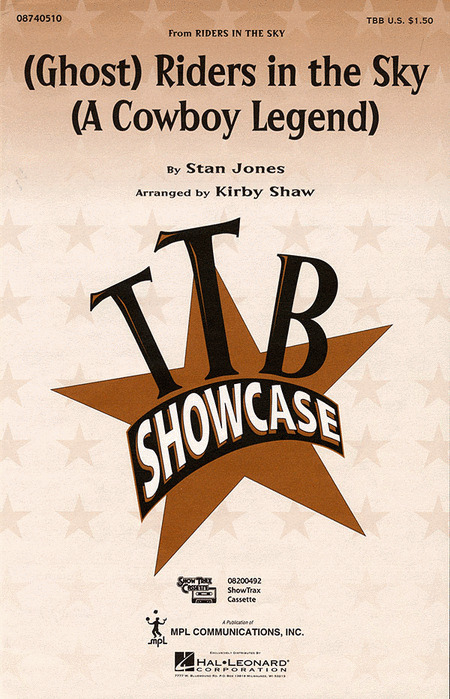 Kirby Shaw brings his creative style to this group of American standard songs. This is a musical heritage worthy of discovery. Reminiscent of Kirby's powerful arrangement of Bridge Over Troubled Water, here is the inspirational climax from Carousel. With the 12/8 gospel groove, the a cappella setting and the contemporary harmonies, this new arrangement of the Rodgers and Hammerstein classic will close any show. You can almost hear the herd stampeding across the sky! Available: TBB. Performance Time: Approx. 1:45. SSA groups will love this sensational salute to the music of the 60s! Easily learned, there are lots of opportunities for choreography and featured solos in this 6-minute medley. 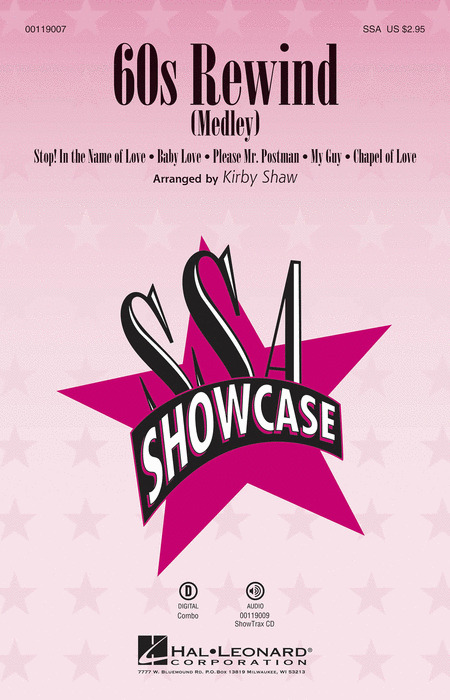 Songs include: Baby Love, Chapel of Love, My Guy, Please Mr. Postman, Stop! In The Name of Love. Set in a bluesy a cappella shuffle, this funky original by Kirby Shaw (a.k.a. Dr. Jazz!) will have you flying solo! It's a mad, mad, mad, mad, madrigal indeed where the fa-la-la's get mixed up with the shoo-bee-doo-bee-doo's and the rama-lama-ding-dong's! This novelty song for madrigal groups, concert choirs or jazz groups will bring smiles to the crowd! 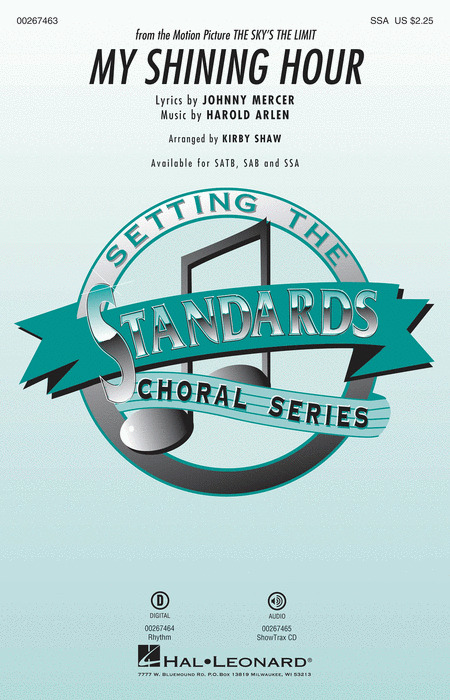 Beginning choirs will love the imagery and contemporary harmonies in this a cappella original. Perfect for contest or concert use, the optional hand drums provide additional rhythmic background. This bluesy standard, recorded by jazz greats Etta James, Dinah Washington and more, will be a perfect vehicle for displaying your group's soulful style. Available separately: SATB, SAB, SSA, ShowTrax CD. Combo part available digitally (tpt 1, tpt 2, tsx, tbn, gtr, b, dm). Duration: ca. 3:30.